Suspect sought by the Brown County Sheriff’s Office, May 2017. 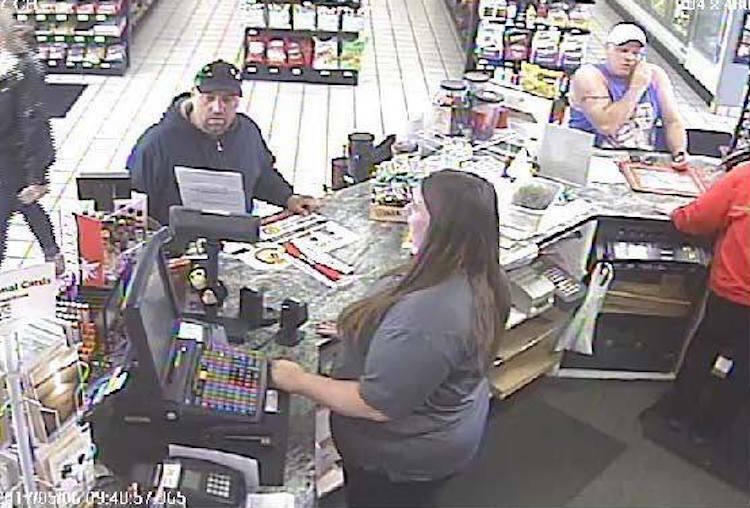 KAUKAUNA — The Brown County Sheriff’s office is seeking information on a person wanted in connection with theft and fraudulent use of a credit card that may be linked to a smash-and-grab theft from a vehicle parked near I-41 near Green Bay. About the same time as that incident in April, the Fox Valley Metro Police and other neighboring agencies had been responding to businesses and public parking lots near I-41 in Kaukauna and Little Chute for reports of theft from vehicles, according to a post on the Fox Valley Metro Facebook page. In most cases a window was smashed allowing the suspect to grab a wallet or purse that was in plain view. Thieves are drawn to valuable items left in plain view. According to a Facebook post from the village of Howard near Green Bay, a woman’s car was the victim of a smash-and-grab theft on Saturday, April 6, 2017. The car was parked at the Cost Cutters, which is just west of Highway 41, north of Green Bay. The post was shared to the Green Bay Crime Report Facebook group. The person whose vehicle was broken into indicated in a Facebook post that the suspect was the same person being sought by the Brown County Sheriff’s Office. 1) Be on the alert. Criminals tend to target those that are distracted – usually on their phones or smoking a cigarette. Women drivers are also more at risk and should be particularly vigilant when stopping at traffic lights. 2) Put away your valuables. When thieves can see valuables from outside the vehicle, you are definitely a target. Make sure you don’t have purses, handbags, sunglasses, laptop bags, mobile phones, MP3 players and tablets lying on the passenger seat or in plain sight. Stow your belongings like shopping bags in the boot before you get into the car. 3) Always keep all doors locked. 4) You can keep one window open but only slightly. If your windows are struck by a spark plug it will provide some resilience. Don’t open your windows or talk to street vendors at intersections. 5) Be vigilant. People loitering at intersections, particularly if there are no businesses in the immediate surroundings, are suspicious.